Bob is a 66-year-old man living in British Columbia, Canada. He’d been fighting an aggressive form of squamous cell carcinoma (SCC) of the skin for many years. Although the vast majority of cases of SCC do not metastasize beyond the skin’s outer layers – and are therefore not considered deadly – Bob’s cancer had become hyper-aggressive and had metastasized throughout his body. After a post-treatment PET/CT scan showed an increase in some very aggressive tumours, Bob’s regular oncologist suggested that he contact CTOAM. The oncologist hoped that we could uncover the mechanisms driving Bob’s deadly cancer – and offer Bob an improved quality of life and extra time with his family. First, we obtained a sample of Bob’s tumour tissue and sent it for tumour DNA sequencing. We decided to use the FoundationOne tumour DNA sequencing assay because, unlike many other tumour DNA sequencing assays, it reports mutations that have not yet been characterized and proven to cause cancer. Because this genetic test can reveal mutations that, while they have yet to show a proven role in cancer, can indicate the loss or gain of important cancer-causing signalling pathways. 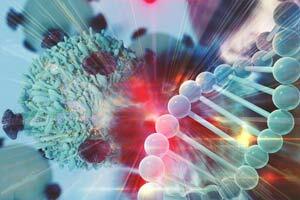 We looked for cancer-causing mutations in the DNA of over 340 genes involved in cancers. Unfortunately, Bob’s F1 assay did not show any well known and targetable mutations. 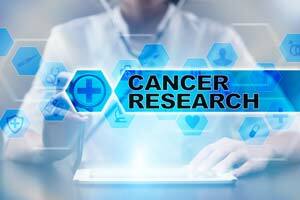 However, it did uncover a unique mutation in a member of the epidermal growth factor family, which contains the well-established HER2 (HER2 positive breast cancer) and EGFR (EGFR mutated lung cancer) genes. Since the specific mutation in Bob’s HER4 gene had not yet been characterized, we used leading edge computer modelling and virtual biology computer simulations to determine that this mutation was potentially oncogenic. Because the data suggested that this mutation could be playing a role in the aggressive transformation of Bob’s cancer, we researched drugs that could potentially target it. Further investigation uncovered case studies showing examples of patients with aggressive SCC being treated with drugs that target the epidermal growth factor family of genes. Interestingly, we also found research showing a strong synergistic benefit in some of these patients when these drugs were combined with radiation therapy. Next, CTOAM’s cancer specialists researched the British Columbia Cancer Agency’s (BCCA) treatment guidelines for advanced skin cancers: we wanted to see if any of the drugs we had identified had provisions in the guidelines to treat patients such as Bob. Although we found no such provisions, we did find provisions for these drugs when used to treat patients with EGFR mutated lung cancers. This was an important finding since the many years of damaging chemotherapy and radiation therapy that Bob had endured had left him with a variety of health issues. These health problems, including a weak heart, meant he was not a candidate for further treatment with the approved chemotherapy drugs commonly used to treat his form of cancer. CTOAM immediately wrote up a patient report for Bob’s health care treatment team. His community oncologist was able to prescribe an EGFR targeted drug called Tarceva. 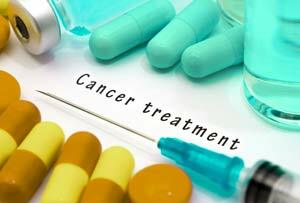 Further, his oncologist was able to get the cost of the drug covered by his extended health care plan. Since Bob was also offered palliative radiation therapy to reduce the pain and slow the growth of his larger tumours, we coordinated with Bob to ensure that any radiation treatments coincided with his Tarceva treatments. After a short time on this combination, Bob’s oncologist reported back to us: the synergistic combination had resulted in a remarkable reduction and disappearances of the tumours that had been targeted with radiation – and even some that were in the field of minimal radiation exposure. His oncologist also happily stated that Bob was, for the most part, pain-free. While Bob did enjoy a temporary reprieve from his disease thanks to the benefits of this combination therapy, his body was too weak to resume further treatment. Sadly, Bob succumbed to his disease a few months later. Since the Tarceva was covered by Bob’s extended health care plan, he was able to get the treatment he needed with significantly less stress and financial strain. CTOAM believes that had Bob and his oncologist reached out to us at an earlier date, Bob may very well been alive today. The treatment that was able to be performed resulted in a significant resolution of the tumours that were treated with the combination of Tarceva and radiation therapy.